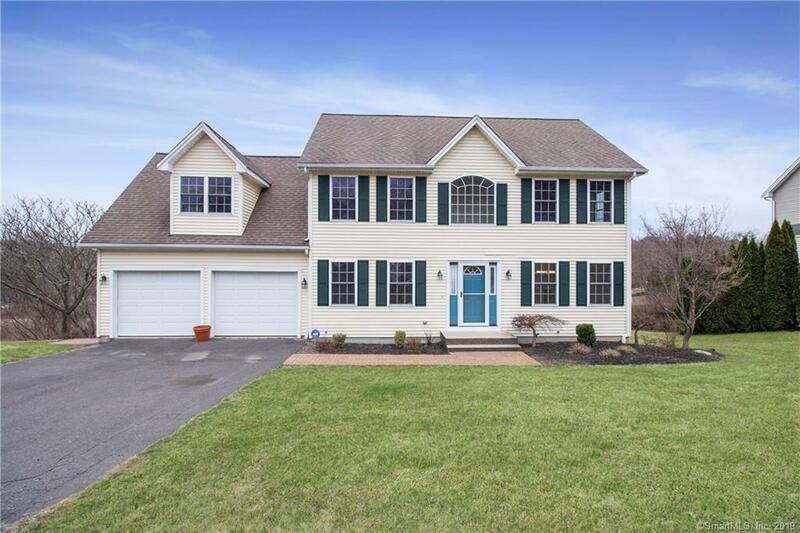 Welcome to 52 Pond View Drive in Watertown, a 4 bedroom colonial home with a heated pool located in one of Watertown's most desirable subdivisions. So close to town and all amenities, shopping and commuting roads. This is a turn key, move in ready home. Open concept eat in kitchen boasts lots of cabinetry, custom tile flooring, granite counters, stainless sink and appliances, wide open to the family room with gas fireplace and sliders to new composite deck with vinyl and metal railings overlooking the back yard. Absolutely perfect for entertaining. FR opens into formal dining room with crown molding and chair rail. Across the foyer is a private formal living room/parlor. Main level has wide baseboard trim and Windsor casing. Upstairs is home to a generously sized master bedroom w/ walk in closet and full bath. 2nd bedroom has been opened to the master to use a MBR Suite or nursery. 4th BR is over-sized and can be used as media / bonus room. Master bed, bath, family room, kitchen and deck wired for sound system. Hard wired security system. Entire home has just been painted inside every rooms and new carpeting in the bedrooms. Out back is a 2 years young heated pool with composite deck, aluminum(wrought iron looking) safety fence with safety gate. Pool heater connected to natural gas so you never have to fill a tank. Large, dry basement with walkout perfect for finishing. Central air, city water/sewer. Listing agent/broker associates own home.